Muna AbuSulayman was relaxing in bed last month when her phone pinged with news that the grand mufti, Saudi Arabia’s religious leader, had died. After checking that the alert appeared to originate from an official source, the former talk show host shared it with 544,000 Twitter followers. It was a fateful misjudgment that pitched her deep into an ugly struggle over what it means to be Saudi as the kingdom forges a new identity under its young crown prince. The story about the mufti was fake. AbuSulayman deleted her post and apologized, but the damage was done. Over several sleepless nights, she watched as tweet after tweet branded her “scum,” “impure” -- she’s from the ethnically diverse western region -- and a foreign-funded “traitor” who should be stripped of her citizenship. Just as notably, the abuse didn’t include what’s long been the insult of choice in the conservative Islamic kingdom: Infidel. After all, as one of the few high-profile women to appear on TV with her face uncovered during less lenient times, the vivacious 45-year-old challenged gender conventions upheld by hardline clerics. It wasn’t an oversight. 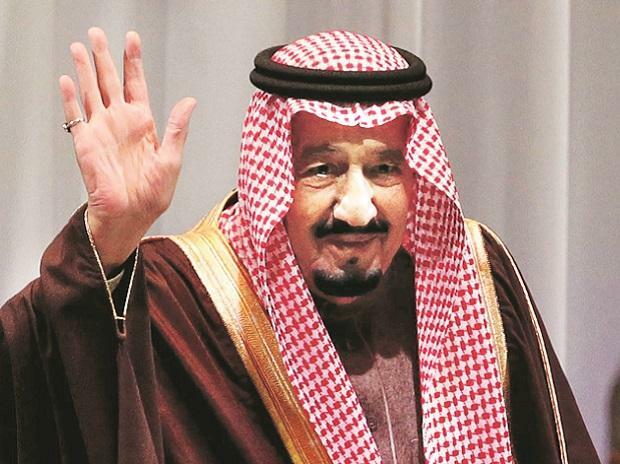 Saudi Arabia’s undergoing an aggressive nationalist rebranding, downplaying an austere religious doctrine associated abroad with terrorism, and promoting veneration of de facto ruler Crown Prince Mohammed bin Salman as he pursues an economic overhaul. Amid efforts to maintain domestic support while redesigning the contract between state and citizen, traitors, not infidels, are the enemy. Many Saudis seem to have taken their lead from official rhetoric. Accusations of betrayal are lobbed online, printed on threatening notes and trumpeted in red letters on newspaper front pages. Anyone perceived as showing the kingdom in a bad light can be targeted, even comedians poking fun at its idiosyncrasies. “If a person is neutral or stands with the enemy against this country, it’s our right to call him a traitor,” Abdullah Al Fozan, a member of the consultative council, said in a televised diatribe that went viral late last year. The risk is that baiting people to turn on fellow citizens under the guise of patriotism might rupture a society already under strain from the costs imposed by Prince Mohammed’s “Vision 2030” reforms, and deter the foreign investors and visitors he wants to attract. “The government needs to step in with a lot of might and make sure these hateful campaigns don’t end up destroying the fabric of society,” AbuSulayman said at her villa in Riyadh. The abuse risks sullying changes she’s proud of. For now, officials aren’t hurrying to squash the spiteful mood -- a “with us or against us” mindset seen by some Saudis as needed to steer the country through a tough transition. Under his plan for life after oil, the 33-year-old son of King Salman is ending an era of cheap utilities, tax-free shopping and plentiful government jobs. He’s also relaxed social restrictions, lifting bans on cinemas and women driving. But simultaneously, authorities have arrested dozens of dissenters in a political crackdown. A top aide to Prince Mohammed began stoking the conviction that Saudi Arabia is menaced by foes at home and abroad in 2017. Saud Al Qahtani, since removed from his role as an adviser to the prince and media czar, created a “blacklist” hashtag on social media urging Saudis to name and shame “mercenaries” who’d taken neighboring Qatar’s side in a Gulf feud. Al Qahtani didn’t respond to a phone message requesting comment. Local newspapers picked up the baton last year after the arrest of prominent women’s rights activists accused of collaborating with unspecified foreign organizations. Al Jazirah published the names and photographs of two of the women on its front page under a headline calling them traitors. It was an act, many concluded, unlikely to have happened without the tacit approval of officials. The government’s Center for International Communication didn’t respond to a request for comment. Al Qahtani lost his job in October -- placed under investigation for his alleged role in the murder of Washington Post columnist Jamal Khashoggi -- but the siege mentality he fostered has spread. To nationalists, foreign assertions that the crown prince knew of the operation are really a plot to damage his credibility. There’s an echo of the nativist triumphalism that accompanied political earthquakes in Europe and the U.S., with Donald Trump-inspired slogans like “Saudi First” and “Saudi The Great." But what’s happening also has local flavors. “Nationalism came in at a time when Saudi Arabia was not only trying to curtail the religious identity inside the country, but was also following a more assertive foreign policy,” said Eman Alhussein, a Saudi visiting fellow with the European Council on Foreign Relations. Prince Mohammed says he’s embracing moderation and has reined in a once-powerful religious police. He’s also rallied Saudis around the kingdom’s war in Yemen, part of its proxy struggle with rival Iran, as well as the split with Qatar. Pride is palpable, especially among those who’d long hoped for social change, and patriotic merchandise abounds. In Riyadh’s Taiba market, where incense smoke floats past vendors squeezing pomegranate juice, t-shirts stamped with “Vision 2030” cost 25 riyals ($6.7). Nearby, pins portraying Prince Mohammed, often referred to as MBS, sell for 50 riyals alongside scented candles. Extreme nationalists are a vocal minority “not to be confused with the patriotic majority” who love their country and want to make it better, he said. Yet the shift has a malevolent side, and Saudis differ over who’s to blame. Abdulaziz, a 25-year-old who asked for his last name to be withheld to speak freely, said he felt the drive has been managed from the top. Recent social-media adulation of “loyal citizen” Al Qahtani by well-known Saudis has encouraged such thoughts. Khalid Al Othman, head of a local urban development company, says fanning an exclusionary nationalism while wanting to build bridges to the world could be self-defeating. Whoever is responsible, they’re changing behavior. One young Saudi said he’s abandoned Twitter and holds back in family gatherings to avoid questions over loyalty. Sofana Dahlan’s speaking up. A 40-year-old lawyer and entrepreneur in Jeddah, Dahlan was subjected to a smear campaign last year after the posting of a truncated video of a speech she’d given in 2013 on the challenges and triumphs of being a Saudi woman. The virtual assailant accused Dahlan of “defaming the state,” including photos of her at a conference in Qatar held years before the diplomatic rift. Strangers warned her to “expect a funeral” in calls to her office; notes left on her car denounced a traitor who deserved to die. Dahlan reported the threats to the police to little effect. On the verge of sending her children abroad, she sought help from Prince Khalid Al Faisal, the governor of her region, on Oct. 1. One day later -- the same day Khashoggi was murdered -- the abuse stopped.